Vote For Teenage Dance Challenge 2018's Most Popular Dance Group! We’re inching closer and closer to the final showdown of Teenage Dance Challenge 2018! After an intense round of auditions, a total of 18 talented groups from the Street Dance and K-pop Dance Cover categories made the cut– and we want you to vote for your favourite dance crew. The crowd-favourite team with the most votes will be crowned as The Most Popular Dance Group of TDC 2018 – head down to the upcoming finals at JCube, JStage (Level 5) on 13 October, 6pm to find out who’ll come out tops! Trading in frames for contact lenses can be a nerve-wrecking experience, which is why it’s important to invest in a quality brand. 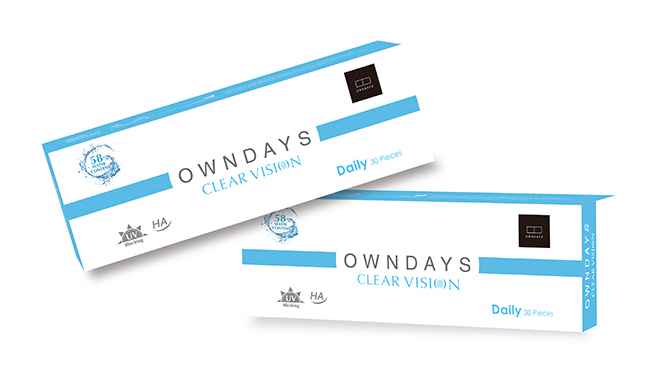 For those who prefer wearing daily disposable lenses, OWNDAYS Clear Vision may be the right fit for you. The first ever in-house contact lens line under the Japan-based eyewear brand, these one-day soft lenses contain 58 per cent of water content to ensure optimum comfort for wearers. It also features UV blocking properties to help safeguard our precious peepers from harmful rays, which is great for Singapore’s scorching weather. OWNDAYS Clear Vision is available at OWNDAYS Raffles City, Jurong Point and Waterway Point outlets. We are giving away 1-month supply of OWNDAYS Clear Vision contact lenses to 5 lucky winners (worth $60 each). Simply fill in your particulars below and submit the form for a chance to win. Good luck! Closing date for this contest is 13 July 2018. This contest is open to all Teenage online members residing in Singapore only. Teenage’s decision on the winners shall be final and no correspondence will be entertained. Teenage reserves the right to suspend or cancel the giveaway at any time. WIN! Tickets To Catch Boyce Avenue Live In Singapore! 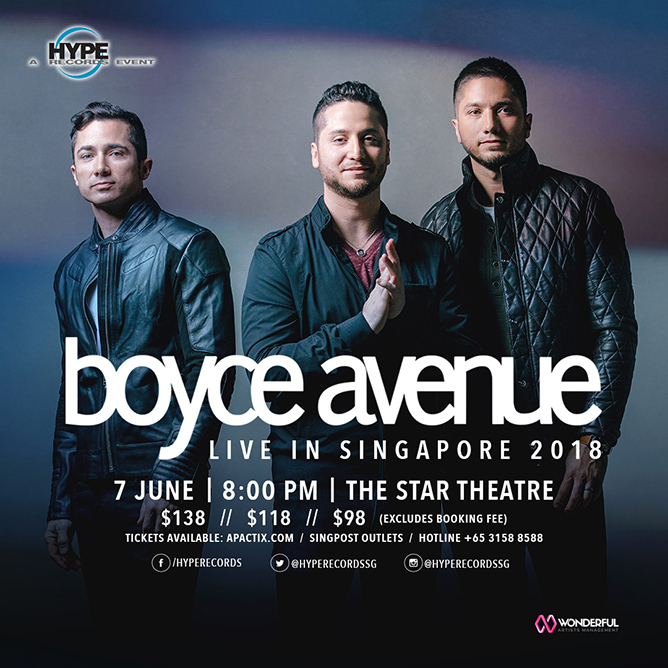 Following sold-out performances around the globe, American YouTube sensation Boyce Avenue is set to return to Singapore for their long-awaited gig on 7 June at The Star Theatre – three years after their last appearance on our shores. Armed with a new repertoire of original tunes, get ready to groove along to their latest tracks as well as familiar cover hits. If there’s one thing you should know about the Florida-based band, it’s that these brothers can really put up a show. Don’t miss this one-night-only concert! We are giving away 3 pairs of tickets (worth $118 each) to catch Boyce Avenue live in Singapore, courtesy of Hype Records. To participate, simply fill in your particulars and submit for a chance to win. Good luck! Closing date for this contest is 30 May 2018. WIN! Tickets To Catch Eric Chou At His 22PLUS 2018 Asia Tour in Singapore! Following a massively successful show in Singapore last March, Mandopop breakout star Eric Chou 周興哲 will be coming back for his 22PLUS 2018 Asia Tour! Known for his chart-topping ballads such as ‘How Have You Been?’ and ‘Let’s Not Be Friends Anymore’, the talented singer-songwriter is ready to explore uncharted territory in his third self-composed album The Chaos After You with a refreshing EDM style. Besides being treated to a romantic medley of heartfelt singalongs, fans can also look forward to new songs and electrifying performances! 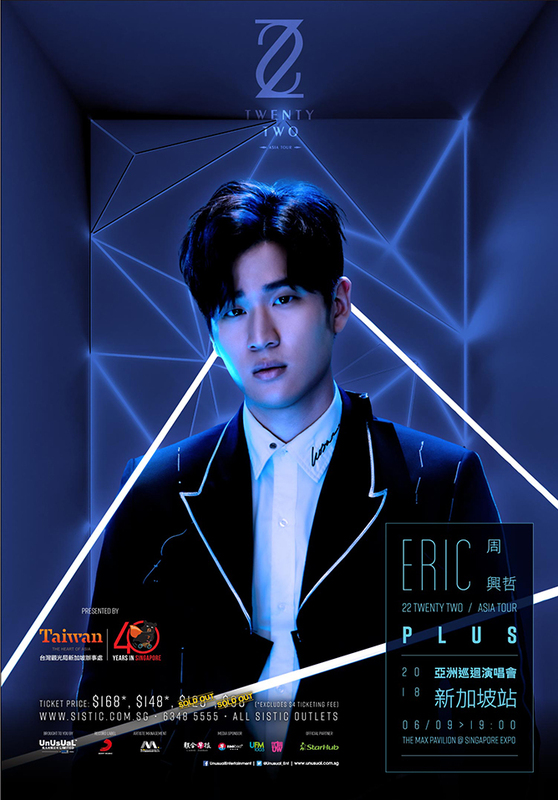 We are giving away 3 pairs of Cat 2 tickets (worth $148 each) to catch Eric Chou 周興哲 at his《TWENTY TWO PLUS》22PLUS 2018 Asia Tour in Singapore, courtesy of UnUsUal Entertainment. To participate, simply fill in your particulars and submit for a chance to win. Good luck! WIN! Attend An Art Workshop At The Faber-Castell Art Festival For FREE! Get your creative juices flowing at the Faber-Castell Art Festival 2018! 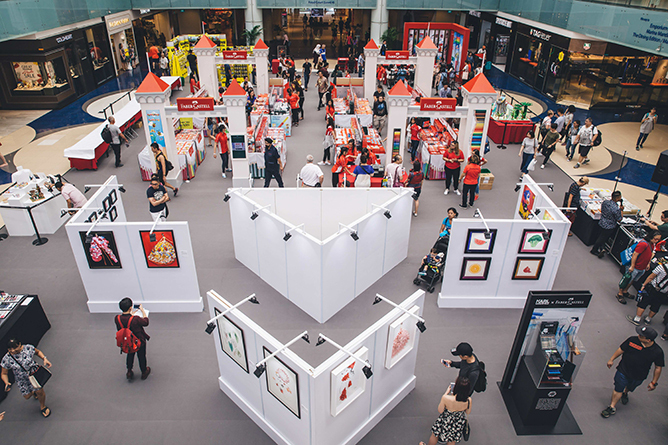 From 25 May to 3 June, head down to the Marina Square Central Atrium to immerse yourself in the myriad of fun activities, exhibitions and workshops planned for all. From live art demonstrations to trick-eye stations to caricature sketching for charity, there’s plenty to see and do at the annual art extravaganza. For those who are keen on picking up a new skill or two, you can also take part in hands-on classes conducted by visual artists specialising in various art forms such as water colouring, calligraphy, caricature and more. Sign up for the workshops here. 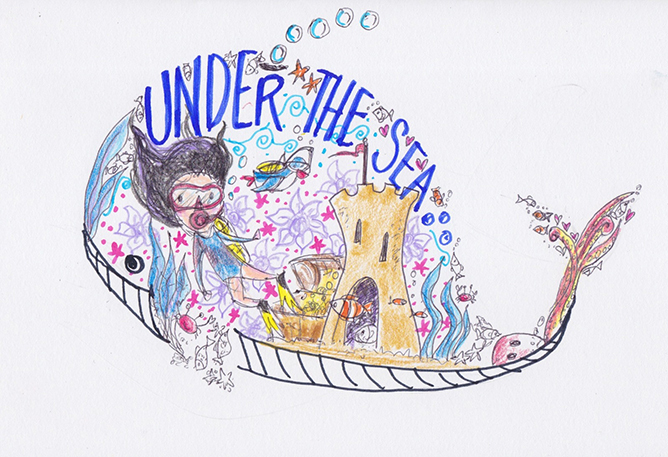 We have two passes to MaryAnn Loo the PenguinGirl’s Creative Doodling workshop (worth $100 each) up for grabs! Join the professional artist for a day of doodling fun where you’ll learn to discover your creative flair and create your own unique artwork from scratch. To participate, simply fill in your particulars below and submit! Closing date for this contest is 21 May 2018, 12pm.